Social media now proliferates across almost every sector of the Web, from commercial enterprises like Facebook to crowd sourcing of science and medical data. New online communities are created constantly, but not all of these efforts succeed, and the Web is littered with failed attempts and false starts. How can you tell which networks will be the next big thing? PSI Visiting Scientist Marc Mangel says the answer may lie with population biology. Mangel is the lead author on a new paper that looks at how a mathematical theory for studying the propagation of invasive species may also be used to analyze wikis and other social networks. The paper, published in the October 2013 issue of the Israel Journal of Ecology and Evolution uses the stochastic theory of invasions to look at whether some sites will succeed and others will fail. “Social collaboration networks have become ubiquitous,” reads the paper. “And when such a network is started, one can envision it as a propagule of users ‘invading’ the worldwide web.” The authors apply methods usually used to determine if species will obtain a foothold and proliferate. “Understanding whether a social collaboration network will succeed or fail is a problem with wide interest, with applications that range from investment in social media, to monitoring terrorist networks, to science education,” they write. For their paper, the authors examined trends for the English version of Wikipedia—one of the world’s most successful social networks—along with 250 versions of the site created in other languages. Mathematical formulas predicted success based on certain thresholds, such as the number of editors needed for sustainability, but didn’t take into account more subjective elements like content type. The math doesn’t say whether a Doctor Who wiki would be more successful than a wiki focusing on Emily Dickinson, for example. 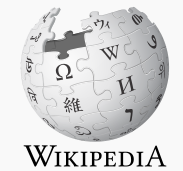 So have the authors come upon a secret formula for a successful wiki? Not necessarily, says Mangel. The theory will only tell you whether at a certain point a wiki or similar social network has a high likelihood of success or failure. There isn’t anything in the formula that will tell you how to get to that point. However, the authors recognize that the methodology could be used to identify potential duds early on, or to encourage investment in social networks that show promise. 2013 Mangel, M., Satterthwaite, W.H., Pirolli, P., Such, B. and Y. Zhang. Invasion biology and the success of social collaboration networks, with application to Wikipedia. Israel Journal of Ecology and Evolution. doi:10.1080/15659801.2013.815435.